When it comes to beauty we all have our little tricks to make us feel good, hair extensions being one for many who want longer hair but can’t wait to grow it naturally. Lullabellz has built reputation for long Rapunzel locks, so we decided to see for ourselves whether the product lived up to the hype. The styling of this packaging is girly and ‘glam’. Overtly pink and attractive, products arrive secured in a hairnet as well as in a plastic cover to stay secured while posted out. The aesthetic is strongly branded, matching to the company website which builds a range of lifestyle imagery to support it’s product. We liaised via email to get a colour match online. Sending photos to the customer service team, we were offered a choice they thought would most closely match our real hair. Arriving the colour match was extremely close, showing impressive dedication to the customer satisfaction. The team will ask for more than one photo to ensure your hair colour can be matched based on different lighting. The care taken to ensure the customer is happy was a good start to the overall experience from the brand and left smaller margin for error and unnecessary returns that could occur if we were left to guess our own shade. This provides a best case scenario that allows you to shop from home without needed to trawl the shops to find your perfect match. 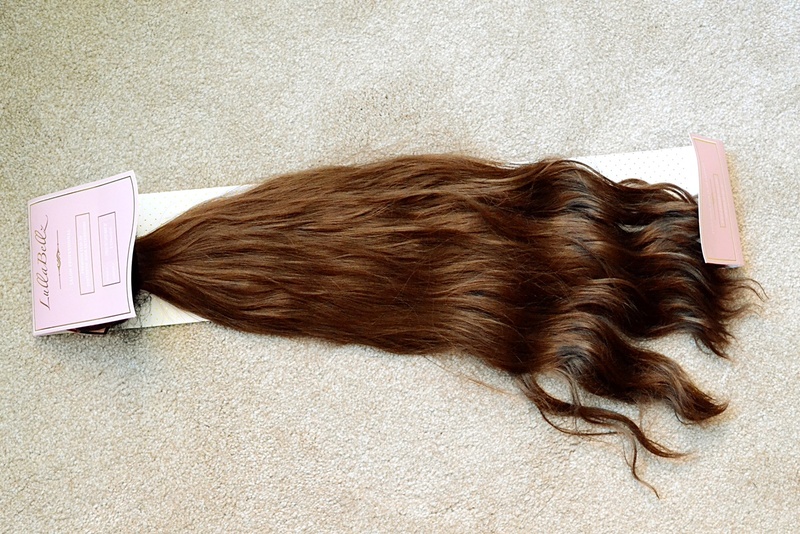 Lullabellz hair is synthetic which is reflected in the price. You can tell by the feel that the product is synthetic from the touch but it is still surprisingly soft and with proper care you can get your use from it. 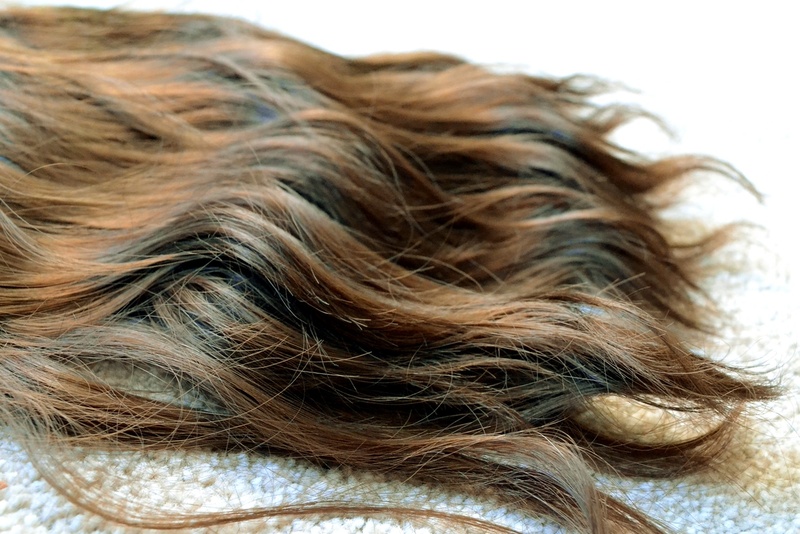 The website states you can expect an average of 3-4 months from them when worn once in a while, which means if you want 24/7 princess hair you may have to invest in the real deal. It also advises avoiding use of heat as the synthetic fibres wont wear well when overtly styled with heat over time. The price is not to be argued with with options under £20. Products come with the clips sewn in, which anyone who has spent hours doing their own DIY style will know is worth the value alone. A range of lengths are available, our version was the 22 inch, which went to about waist length. The hair is thick and the texture in the colour gave dimension, as the images show the colour had a warm reddish shine to it from afar, but when up close golden highlights can be seen, which is what made it a better match to our tester’s natural locks. Verdict: if you are looking for luscious locks for a night out once in a while Lullabellz is definitely a good shout. There are a reasonable range of colours available, the only downside is, as with most extensions, you are left feeling lacklustre with your own hair after and will want to wear them all the time. LullaBellz extensions are amazing, they’re the only extensions I’d wear. Instant princess hair!